Currently I teach through the School of Music programs at Millikin University. My voice studio includes high school and college students, and other individuals from the ages of 15 through 78 years old. I teach “Classical” voice, Musical Theatre, and other contemporary commercial music (CCM) styles, as per the student&#039;s interests, ability, and goals. I am voice science and Somatic Voicework™ enthusiast. I strive to help my students to discover their instrument, and to achieve freedom in their singing, avoiding manipulation or a manufactured sound. All goals, working towards musical expression and communication. 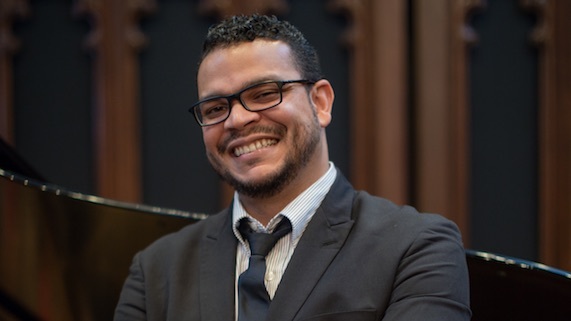 Baritone and Vocologist, Ricardo Sepúlveda has performed with the Puerto Rico Opera Theatre, New Jersey Opera, Champaign-Urbana Symphony Orchestra and other companies in the United States and in his native Puerto Rico. Most recently, he has been seen as Bottom in Britten's A Midsummer Night's Dream with Lyric Theatre @ Illinois. Other credits include Polyphemus in Händel's Acis and Galatea, Papageno in Mozart’s Die Zauberflöte, Marcello in Puccini’s La bohème, Émile de Becque in South Pacific, and roles in plays by García Lorca and Myrna Casas. Mr. Sepúlveda holds degrees from the Conservatory of Music of Puerto Rico and from the University of Illinois, where he is a candidate for the doctorate in musical arts with a cognate area in the science of the singing voice. Additionally, he is a graduate from the Summer Vocology Institute at the National Center for Voice and Speech at the University of Utah, and has completed Level One of Somatic Voicework™. Ricardo is a member of the National Association of Teachers of Singing, The Voice Foundation, and the Pan-American Vocology Association. He currently serves as Adjunct Associate Professor of Music at Millikin University. As most singers and teachers of voice, traditional vocal pedagogy proved limited in specific areas in my life as a student of singing, a singer and as a teacher. After hearing from friends who have worked with Ms. LoVetri, I attended a conference, with some lectures by her, at the Chicago Institute for Voice Care last summer, and very much enjoyed the content and the experience. Once the Somatic Voicework™ Level One was taken to Chicago, I decided to come and check it out!